28% of Legia Warsaw’s conceded goals occurred in the first 15 minutes in Ekstraklasa (Poland). Pogon Szczecin have won their last 6 home matches in Ekstraklasa (Poland). Slask Wroclaw have failed to win in their last 6 matches in Ekstraklasa (Poland). Zag. Sosnowiec conceded at least 1 goal in each of their last 7 home matches in Ekstraklasa (Poland). Zag. Sosnowiec have conceded the opening goal in 74% of their matches in Ekstraklasa (Poland). 71% of Pogon Szczecin’s points have been earned at home in Ekstraklasa (Poland). Slask Wroclaw have scored in 78% of their away matches in Ekstraklasa (Poland). Zag. Sosnowiec conceded at least 1 goal in 89% of their home matches in Ekstraklasa (Poland). 67% of Legia Warsaw’s conceded goals were conceded at home in Ekstraklasa (Poland). 32% of Slask Wroclaw’s conceded goals occurred after the 75th minute in Ekstraklasa (Poland). Zag. Sosnowiec have failed to win in their last 7 matches in Ekstraklasa (Poland). Legia Warsaw have scored 39% of their goals after the 75th minute in Ekstraklasa (Poland). Slask Wroclaw have scored 65% of their goals away in Ekstraklasa (Poland). 74% of Zag. 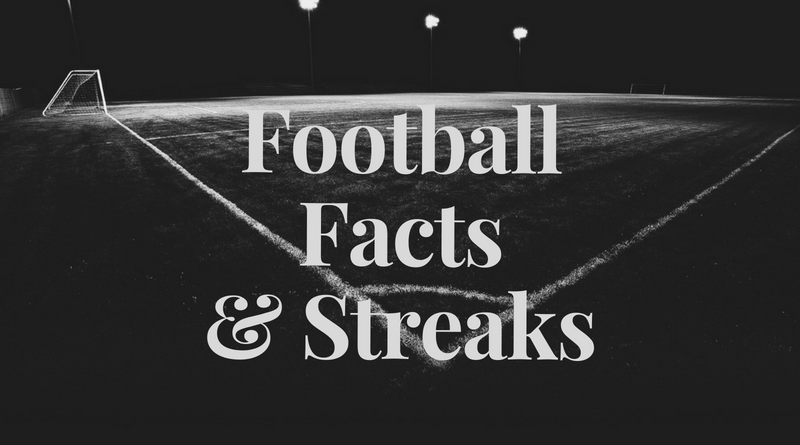 Sosnowiec’s matches had over 2.5 goals scored in Ekstraklasa (Poland). Zag. Sosnowiec have conceded 2 goals or more in each of their last 3 home matches in Ekstraklasa (Poland). Legia Warsaw did not concede any goal in their last 4 matches in Ekstraklasa (Poland). Zag. Sosnowiec have lost their last 3 home matches in Ekstraklasa (Poland). Legia Warsaw have scored in 78% of their away matches in Ekstraklasa (Poland). 75% of Zag. Sosnowiec’s points have been earned at home in Ekstraklasa (Poland). Botosani conceded at least 1 goal in each of their last 5 home matches in Liga 1 (Romania). Dunarea C. have lost their last 5 matches in Liga 1 (Romania). Astra Giurgiu conceded at least 1 goal in each of their last 5 home matches in Liga 1 (Romania). 73% of Dinamo Bucarest’s points have been earned at home in Liga 1 (Romania). Botosani have scored in each of their last 11 matches in Liga 1 (Romania). 80% of Dunarea C.’s matches had under 2.5 goals in Liga 1 (Romania). 79% of Astra Giurgiu’s conceded goals occured in the second half in Liga 1 (Romania). 67% of Botosani’s conceded goals occured in the first half in Liga 1 (Romania). Dunarea C. have failed to win in their last 12 matches in Liga 1 (Romania). Dunarea C. have failed to win in their last 9 away matches in Liga 1 (Romania). Astra Giurgiu conceded at least 1 goal in each of their last 8 matches in Liga 1 (Romania).